Thanksgiving isn't a celebration in the UK, it firmly belongs with our friends across the pond in the US. The nearest we have to it is Harvest Festival where we give our thanks for food and the years' harvest but even that does not come close the American holiday which is in equal to Christmas at least. A surprising number of restaurants around the country now serve a Thanksgiving dinner and there are a growing number of festivals taking place. If you prefer to stay at home and gather your family around you and prepare your dinner yourself, here are some recipes and info to help you on your way to creating your own perfect Thanksgiving in the UK. One important note for your dinner is the making and serving of your own family favorite recipes, and each family has them. And with the family around the table what could be better. The mainstay of the Thanksgiving Dinner is a roast turkey. Though this is a typical British recipe usually served at Christmas, it is the bird of choice for a Thanksgiving dinner. This recipe may look complicated but is actually quite straight forward. If you are concerned about how long to cook your turkey then use this handy roasting guide. Again, not a British favourite, though I am surprised it isn't. Yummy American pumpkin pie is delicious. There are as many Pumpkin Pie recipes are there are shapes and sizes of pumpkins so it is hard to choose a favourite amongst them. Not sure what to serve at the dinner. Here are a selection of my go-to sites when looking for authentic classic Thanksgiving menu and recipes from some of my favourite American food writers - so they do know what they are talking about. 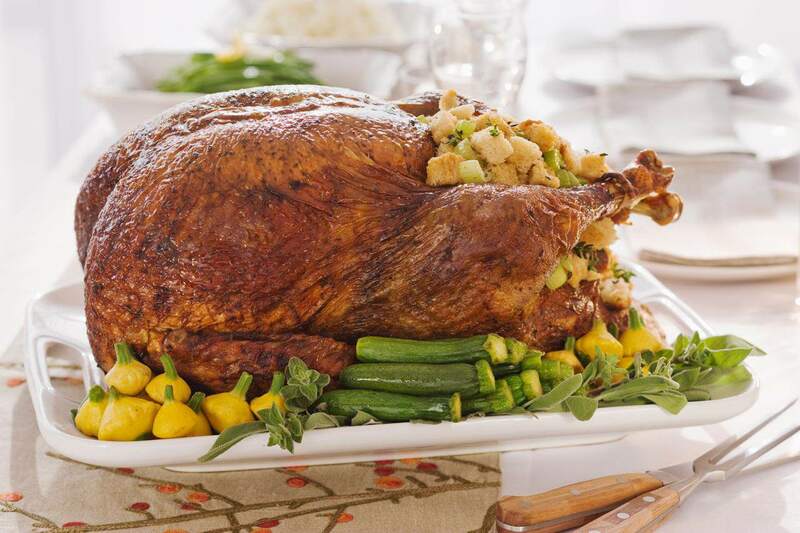 Diana Rattray has a great selection of Thanksgiving Recipes. Linda Larsen shares her Family Thanksgiving. Drinks writer Stacy Slinkard has put together a comprehensive list of wines for Thanksgiving and what would Thanksgiving be without a cocktail. For sure, the turkey is the main attraction but it is only bettered by the Thanksgiving sides you choose to serve as well. Don't forget the essentials like fluffy, creamy mashed potatoes and the crisp, crunchy roasted ones too. Turkey gravy is paramount and ring the changes with Cranberry Sauce perhaps with a cranberry relish instead.